Why Should I Hire A Professional Kitchen Designer? So, you’ve made the decision to overhaul your home’s kitchen space, but where do you start and who do you call? Kitchen renovations can be an expensive project, and it’s only natural for you to look for areas where you can reduce costs, however, the entire improvement will involve a significant amount of steps that can make these feel a little overwhelming at times. But, there is a solution; hiring a kitchen designer! A kitchen designer will help you not only design the kitchen of your dreams but also put all of the moving pieces together to create a result that is near perfection! At Hills Robes and Kitchens, we have been helping Adelaide residents execute the kitchens of their dreams with little to no fuss. 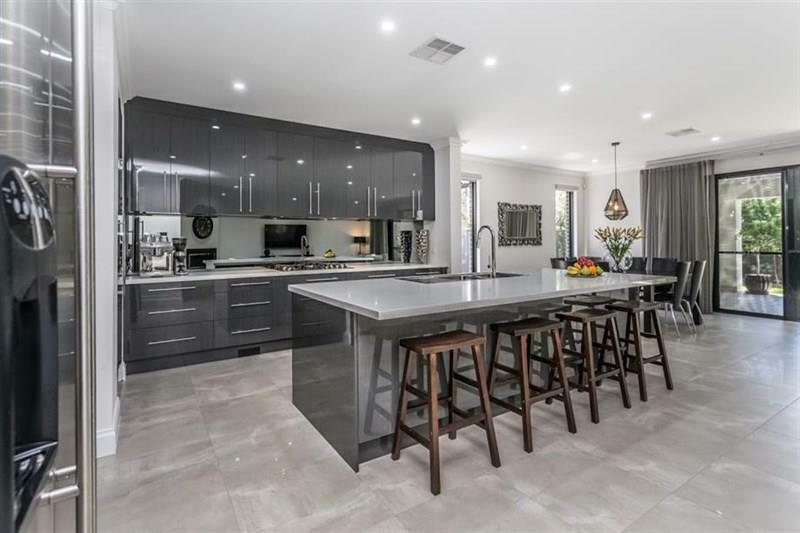 Our team of well-experienced kitchen renovation professionals will help develop amazing remodels and redesigns from the best materials, finishes as well as helping you with colour schemes, layout and so much more. When it comes to hiring a professional kitchen designer, you will see yourself avoid any costly mistakes often made when an amateur is left to complete the job. Hiring a professional kitchen designer will also see you with a better result as well as inspire confidence in potential buyers further down the track which can lead to a boost in your home’s value, setting it well above its market competition. Remove the Stress, and Save Time! Kitchen renovations can be overwhelming, hard and stressful if you’re doing them yourself. Hire a professional kitchen designer from Hills Robes and Kitchens, and we’ll make sure everything is taken care of for you. We will work alongside with you to plan out your dream kitchen, but we will also take care of all of the scheduling required for the job. Our team will work around you, so all you have to do is sit back and wait for your new kitchen renovation to be complete! When it comes to the aesthetics, style and functionality of your new kitchen, a professional kitchen designer will ensure you receive the most value. Our professional kitchen renovation team are continually staying up to date with the latest design trends to ensure that whatever your design vision is, we can make it a reality. Our team will also be able to help you design a space that looks not only good but also holds excellent functionality! If you’re looking for a premium kitchen renovation company, look no further than the team at Hills Robes and Kitchens! Our professional team will create a kitchen renovation that is the perfect fit for your lifestyle, style and Adelaide home. Call today!